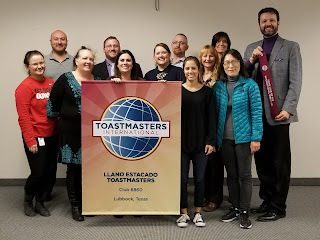 Llano Estacado Toastmasters Club in Lubbock, Texas, celebrated an Ice Breaker and welcomed two new ribbons to the club's collection. Sam Negus delivered his Ice Breaker speech today by sharing some personal memories of his time in the United States military. After the Ice Breaker, club president Cliff Colvin presented Sam with his club membership pin. The club also received its Perfect 7 ribbon for having all seven club officers trained over the summer and the Home Club of the International Director ribbon since Tracy Thomason, a current International Director for Toastmasters International, is a member of the club. A member since December 2015, Joanna Kim earned her Competent Communicator award in the Llano Estacado Toastmasters club of Lubbock, Texas. Club president Cliff Colvin presented Joanna with her Competent Communicator certificate during the club's November 1, 2017, meeting. Congratulations, Joanna! We're looking forward to your next Toastmasters presentation and your next award! Llano Estacado Toastmasters' newest member, Ron Wheeler, delivered his Ice Breaker speech today. After the speech, club President Cliff Colvin gave Ron his membership pin. Join us any Wednesday and you'll be breaking the ice soon, too! Cliff Colvin was elected as the District 23 Club Growth Director in May. Today the Llano Estacado club was presented with the Home Club of the Club Growth Director ribbon for our banner! We are very excited to see so many of our club leaders grow into District leaders! Joanna Kim receives her CC Name Badge! 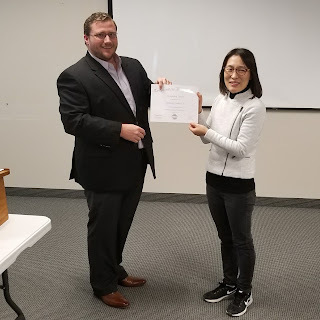 Joanna Kim gave her 10th speech completing her Competent Communicator manual, and the Llano Estacado Club has awarded her with her CC name badge. 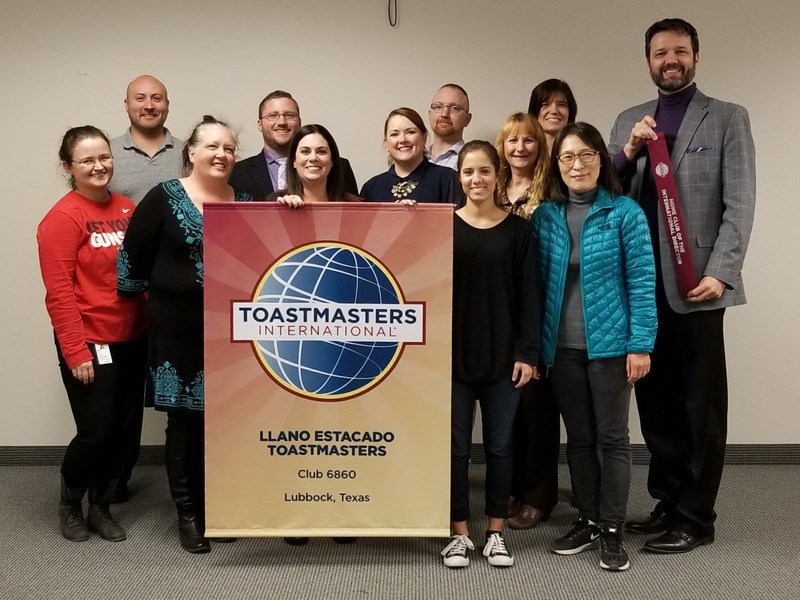 We at Llano Estacado club are proud of Joanna's progress through her Toastmasters goals! Ian Fettig Gives his Ice Breaker Speech! Ian Fettig give his Ice Breaker speech, and receives his Toastmasters lapel Pin! 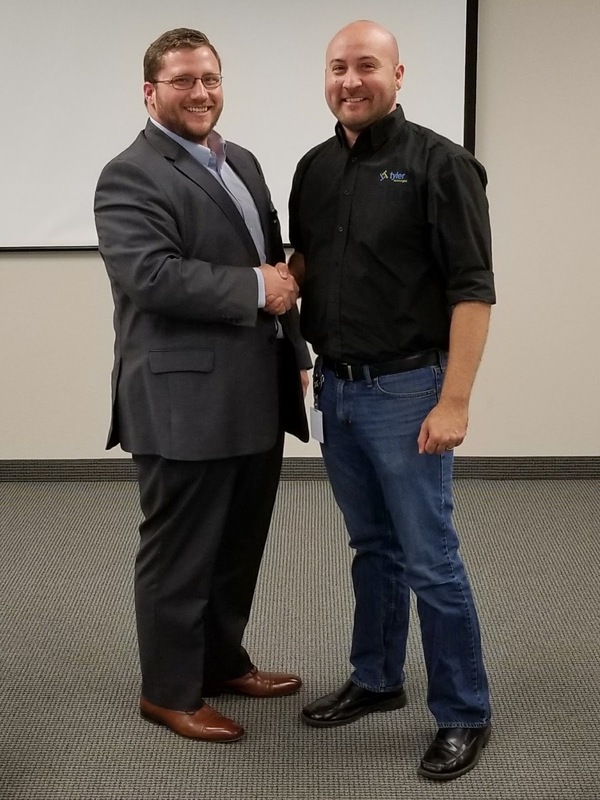 We are so glad to have you in the club Ian, and congratulations on beginning your Toastmasters journey! Leah Medlin presents her Ice Breaker Speech, and receives her Toastmasters lapel pin. We are so glad to have you in our club Leah! Congratulations on beginning your speaking journey with Toastmasters! Jan Grams receives her Competent Leader (CL) certificate. Jan Grams received her CL certificate, and recently turned in her Advanced Leader Bronze award as well. This marks her third award this year which means that she will also get her Triple Crown award at the upcoming District 23 Fall Conference in Albuquerque, NM. Llano Estacado is proud to present its new line up of club officers for the 2017-2018 year. Ross Nieman receives his CC Name Badge! Ross Nieman has received his Competent Communicator award from Toastmasters International. 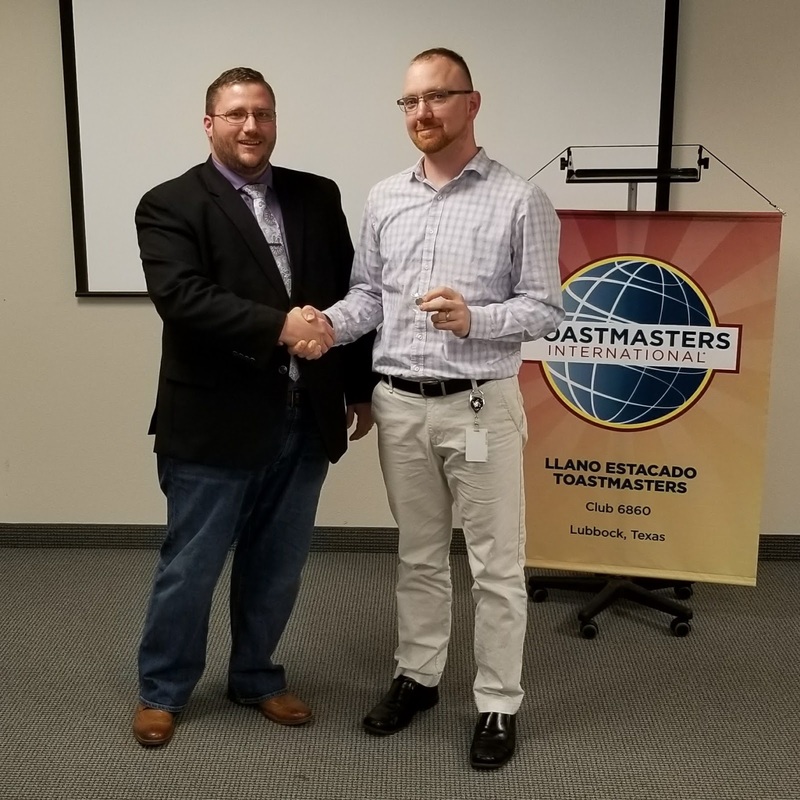 The Llano Estacado club has awarded him with his very own CC name badge to wear proudly as he continues his Toastmasters journey. Kathy Puryear receives her CC name badge! Kathy Puryear received her Competent Communicator award from Toastmasters International, and the Llano Estacado club is proud to present her with her very own CC name badge. She can wear this name badge proudly as she continues her journey in Toastmasters. Mark Cavazos Breaks the Ice! After joining the Llano Estacado club a few weeks ago Mark gave his first speech project the Ice Breaker. Llano proudly presents him with his Toastmasters International pin to commemorate his entry into this wonderful program. Jan Grams receives her CC Badge! Llano Estacado is proud of Jan for receiving her Competent Communicator award. This award is given by Toastmasters International after a member gives their first 10 speeches and completes the first project manual. She received her CC name badge to wear proudly and represent the Llano Estacado club 6860 as she continues her Toastmasters journey!